Today is my daughter’s due date. Today is the day she would have been considered complete. It has been forty weeks, since the beginning of my last menstrual cycle. She has cried the most I’ve ever heard her, today, and even then it isn’t much. Small whimpers of impatience, while I am in the shower, as I write, as I make tea – asking to be held, asking to drink more when I know she isn’t that hungry. She is currently sleeping deeply, wrapped to my chest, as if still longing to be in the womb. It makes me wonder if her senses have leapt into focus a little more, if the wholeness of her self is unsettling to her. She’s expected to be ready for this earth, now. Maybe the pressure is overwhelming? Or, maybe she just has wind. I want to write out her birth, because I think it might help me. I also think it might help you – if you have a baby coming, or if you went through (or are going through) something similar. I think it can be a gift, even if you have no interest in children. I think birth, like death, is fascinating. It is the smallest taste of eternity. It is only in birth we can watch someone walk the bridge to conscious, gasping life – embraced by air, for the first time. It matters. 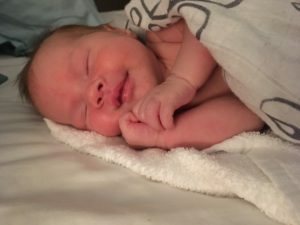 In any case, your reading of this birth story is a gift to me. So, thankyou. We fell pregnant six weeks after our wedding. I knew almost immediately. I could feel the difference in my body. She wasn’t in our plan – but God tends to have better ideas than us. In retrospect, it felt like she had been ready long before Jonathan and I even met, eagerly waiting the first chance to jump earthside. I remember my best friend casually telling me over lunch that she’d dreamed I had a baby. I think your first child will be a girl. I found out I was pregnant seven days later. The first few weeks were tumultuous. I wrote off my car and was somehow left uninjured. Jonathan and I both grieved our unmet expectations and hid behind our fears. We told people slowly, and almost apologetically. Pregnancy didn’t feel like a blessing, but a badge of our recklessness or ignorance. We were overwhelmed. I was so tired and nauseous I could hardly stand. Halfway through the first trimester, we had a bleed. Convinced we were miscarrying, we stayed up, and prayed. I don’t think I have ever prayed so fiercely. The next morning, at our dating scan, we saw a tiny heart, beating freely. That was the first time I understood that the journey was good. That it was for us, not against us. That it was going to introduce us to a love we could not imagine. After the morning sickness subsided, I found pregnancy to be the most creative and joy-filled season of my life. It was a daily love affair with my body, as I marveled at the extraordinary project it had undertaken, and the ease with which it responded to accommodate new life. I had muted my fertility for so many years, and now it was a bird set free. I loved it all – the breast changes, the cravings (mango and vegemite, to the very end), and the tiny movements in the growing bump. She was confirmed to be a girl at our twenty week scan, and we marveled at her perfect test results, her perfect body parts and my perfectly progressing pregnancy. I was as low-risk as they came, and she was active and growing well. I was in a midwifery team in the public system, and wanted a vaginal birth, preferably drug-free, if I could handle it. I prayed for it daily, and read every active-birth book I could get my hands on. The challenge of labour excited and terrified me. labour pain is not an injury, but completely healthy – a result of hard work, to reach the ultimate goal. Labour pain has an outcome of life, rather than death. But, the little voice in my head would rebut – it is still pain. My faith promises me two different and somewhat contradictory outcomes, regarding pain. Firstly there is the triumphant narrative of healing – the promise that God will remove pain from my heart and my body. That in Jesus, the curse of suffering is redeemed, and I can pray for relief and restoration. Secondly, there is the promise of effective suffering. That I will struggle, and through Jesus I will find the courage to endure it. That Jesus will accompany me in it. That I will suffer most intensely for the sake of love, because that is what God did for me. Despite the paradox, they both prove true, when tested. Is this a pain you intend to relieve me of, or a pain you need me to face in courage? I received my answer, of course. February 2nd had been a day of nesting – ruthlessly clearing out cupboards and throwing away stuffed garbage bags of items we had somehow accumulated in under ten months of marriage. I had been working from home through a hazy ache of exhaustion, counting down the days until self-determined maternity leave. 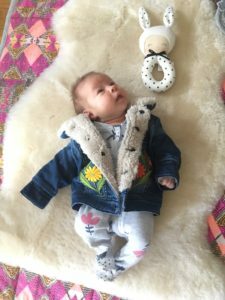 It was too soon to be so urgently preparing – I was only 33 weeks pregnant – but something had risen up from under my skin. We weren’t ready, and I felt the constant pulse of the countdown. Jonno didn’t so much – he was still pitching to me short films we could shoot before her birth. In a fit of organisational anxiety, I’d made him agree to a Friday night hot date to Kmart, to get our storage in order. We meandered through the Westfield, me waddling just a little, and pausing every few minutes to breathe off another tightening. I had been having Braxton-Hicks contractions for months. They never hurt, but they arrested me a little. That week, there had been a lot of them. Part of me loved the sensation – it was a hint of labour, a promise of a baby, a clue to what was to come. That night, however, they were getting annoying. They interrupted my walking, and slowed me down considerably. It seemed as though I couldn’t walk more than ten steps without my belly turning rock hard. As the shops began to close, we found a burger joint, and curled up at a table outside, sharing lofty ideas about the baby we were due to meet in just under two months time. I remember sitting with my husband, staring at him in affection. The next day we were booked for one night away in the mountains – our long awaited version of a baby-moon. The following weekend was my baby shower. It was all finally becoming real. We were getting ourselves together. We would be ready. Everything was laced with a lightness and sweetness – the pineapple on the burger, the cool night air, and the certain future with a tiny daughter. As we walked back to the car, I poked at my belly, keen to interact with her kicking limbs. She was usually excitable after a meal, but tonight, not so much. In fact, I couldn’t remember feeling her move at all, that day. I frowned, deciding not to mention anything to Jonathan. I’d been busy, and moving a lot. We drove home, and I instinctively pressed into my belly, feeling for her limbs, and willing them into action. She was fine – surely. The last thing I wanted was a repeat of the previous weekend. We’d been at a wedding, interstate, when we realised she had slowed down her movements, considerably. At first I had assumed she was just getting larger, and naturally running out of room, but this seemed a little early. Upon researching, I learned that babies don’t actually ‘slow down’. Any sign of that throughout a pregnancy is cause for concern. Perturbed, Jonathan and I set out to provoke her into action. I ate sugar, palpated my belly, lay down and shone a torch over her….every now and then I felt the soft tug of a limb, but then nothing. She was hardly moving. We flew home at five in the morning, and called the emergency department of the hospital I was booked into, who asked us to come straight in there. I was placed on a bed, with straps and monitors. Jonathan and I watched the process anxiously, genuinely preparing ourselves to hear any outcome. Then – of course – the minute the gel was placed on my belly, she kicked me. Hard. The midwife laughed at me sympathetically. This happens all the time. It’s as if they just know the monitor is going on. We stayed in the ED, on the monitor, for over two hours, but her trace was fine, and she was moving regularly. They put it down to dehydration, and I was feeling more and more like a hormonally paranoid pregnant woman. The following day they did more tests, all of which returned perfectly clear. She had enough amniotic fluid. Her heart-rate was great. She was moving, calmly. She was the right size. So five days later, we got home from the shops, showered, and crawled into bed to watch Netflix together. I kept my hands on my belly, willing some movement. By midnight, I decided to tell him. I can’t remember the last time I felt her today. He read her an excerpt of Winnie the Pooh, then placed his hand over the baby, and waited a moment. I groaned, and shook my head. I was about to fall asleep. No. If she hasn’t moved by morning we can go in then. I really want us to. They’ll find nothing. This is just something she does. It’s a waste of time. If they find nothing, that’s fine. But they told us to come back in and not to feel stupid, so let’s not feel stupid. I scowled at him, relenting. I made my way out of the house like a brooding teenager, while he waited for me in the car. Are you seriously wearing your pyjamas to hospital? He rolled his eyes, and drove. That drive has been immortalised for me now, but that night was the first time I really watched where we were going. We were so calm. Oblivious. We drove there out of duty, not anxiety. A fox crossed the road, at the final intersection before the hospital. We watched it, curious. As we parked, we saw an incubator being wheeled out of an ambulance. Tiny hands stretched out against the glass. Watching it, my heart broke a little for the baby in forced isolation, so deeply needing hands to hold it. I walked up to the ED desk apologetically. I’m afraid we have a serial offender on our hands. It’s probably nothing. Again, a midwife brought us through – quite promptly – and strapped on the monitor. She explained that it was also coming up on their computer in another room, so they were constantly observing it, even if they weren’t with us. Jonathan had I had both brought books this time – he was already reading in the corner. In a couple of minutes, a different midwife entered, slightly frazzled. She checked a few things, then left. Someone came in to let us know that some obstetricians were on their way to check us out. Something must be going down elsewhere, they all seem anxious. Within fifteen minutes of us arriving, a registrar came in with a drip. He looked me in the eye, smiling. Baby isn’t behaving exactly as we would like, so we’re going to give you some fluid, just in case it is dehydration. I could see Jonathan looking up in alarm. They inserted the drip, and another doctor entered with a portable ultrasound machine. She checked the baby, looking for explanations for whatever it was seemed to be wrong. She saw nothing, except that the baby quite still. My cervix was checked for effacement (to see if I was actually in labour), but again, nothing. They told me I was going to be admitted to hospital overnight, for observation. Jonathan asked the midwife what was happening, and she gently explained that the pattern emerging from the monitor indicated that the baby wasn’t ‘doing well’. It was in a sleep-like state, except sleep had a particular pattern, and this wasn’t it. The fluids and change of position had made little difference, so they were attempting to figure out what else it could be. So should I go home now, and come back and get her in the morning? The midwife shook her head, as if trying to find words to explain something she didn’t want to tell us. No, I think you should wait until we know what’s happening. I hadn’t even brought a spare pair of underwear. Not long after, one of the doctors came in to tell me that the monitor had picked up that I was tightening much more rapidly and often than I was discerning. My uterus was aggravated by something, and had been responding with fast-paced contractions. They had concluded that it was possibly a concealed placental abruption – when the placenta partly comes away from the uterine wall, and the blood is trapped. It could mean haemorrhaging for the mother, and loss of oxygen and nutrients for the baby, depending on the severity. We are deciding whether or not to deliver this baby tonight. Just in case we do, we’re going to give you a steroid shot to help its lungs, which are underdeveloped. We need you to sign this. We need you to understand there could be bleeding, or damage to your uterus, and if necessary we would give you a hysterectomy to save your life. Within five minutes of the steroid shot, I was dressed in a gown and being wheeled into theatre. I remember the birth in small, blurred flashes, from here. The news had given me a physical shock, not unlike the moment I found out I was pregnant, but it externalised as a nonchalant cheeriness. I remember laughing a lot. Jonathan was crying and trying to hide it, calling somebody in the corridor. A nurse was taking out my earrings. Apparently I spoke to my mother on the phone, but I don’t recall that. In that moment before her birth, things felt simple, though perplexing. She was coming, whether we (and that nursery) were ready or not. I found it hard to believe anything was actually wrong, suspecting they would open me up to find nothing had happened at all. How could she be in some level of physical trouble, and I not feel her pain? It didn’t make sense. She was of me. We were one. I wanted to meet her more than anything, that night. I wanted to look her in the eyes. I wanted her on my chest, to feel us breathing together. The theatre was full of about twelve women, which at the time I found remarkable. Female anaesthetists, obstetricians, nurses, midwives and neonatal paediatricians. The ‘baby doctors’ stood to the side, beside a readied incubator– the same kind of incubator I had seen being wheeled out of the ambulance only two hours earlier. They gave me a spinal block, and I observed the sensation of being submerged into a warm bath of pins and needles, followed by the paralysis creeping up to my chest. Jonathan sat near my head as the surgery began. It felt – as they had promised – like someone rummaging through a handbag, the handbag being my abdomen. It was not pleasant. After only a few minutes, there was a diving pressure, and the doctor pulled up our child. It was a girl, with tufts of dark hair. Her face was contorted into a pout, eyes firmly shut. She let out a single gasp, but did not cry. She was small, and noticeably pale, but her limbs were moving. I wanted to feel the rush of oxytocin every birth class promised me. I had imagined tears of overwhelming love and joy, but I didn’t feel a thing. They took her to the bench and ushered Jonathan over to cut her umbilical cord. I could hear them encouraging her to breathe, and putting her on oxygen. The anaesthetist beside me whispered words of comfort as arched my neck to try and see her. Do you hear those little sounds? That’s her. They were muted meows, as if from a dreaming animal. I looked over at Jonathan. We hadn’t confirmed it with one another yet, but we had known her name for seven months. A few minutes later, to my surprise, they brought a compact parcel of blankets to where I lay, and placed it in my arms for about fifteen seconds. It was our baby. She was meowing, as if in protest, but I held her as close as I could manage. I kissed her cheek, and then said a hurried goodbye to both her and my husband. They whisked her out of my arms, and placed her in the incubator to attach her breathing equipment. I heard them wheel her away, taking Jonathan with them. He had my phone in his pocket, and all of my things. 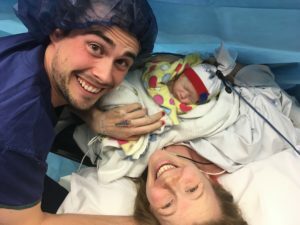 I knew the process of stitching up a caesarean took a lot longer than the birth itself, but it truly felt like a lifetime. I was beginning to feel the shock and anxiety I had somehow been numb to prior to the surgery, shaking uncontrollably from the drugs they had given me, and vomiting all over my own hair. The tribe of female health professionals cleaned me up and tried to calm me, but a reality was setting in that I couldn’t quite grasp. They wheeled me to recovery – the room dark and empty. There was no-one to speak to, no Jonathan to sit by me, and most notably, no baby. I needed to move – to get up and go and find them all. I needed to tell him what ward I was being taken to, that he had my phone, that I wasn’t just disappearing on them all. I needed to hold my baby properly, feed her, explain to her what had happened. It was as if I’d been thrown into a dark pool of water, and the paralysis in my legs was the brick tied to my feet. Eventually, I was wheeled into a post-natal ward. It was 4:30am. They asked me where my ‘things’ were. I had none. I choked up at the knowledge Jonathan must have gone home alone – not knowing where I was, and having no way of contacting me. A woman slept in the bed beside me, her newborn baby squawking gently. She didn’t wake up to his cries. A midwife set me up, and helped rearrange my legs. She told me I would regain feeling slowly, and full movement again in another four hours, but I would simultaneously start feeling the incision wound too. They wouldn’t let me walk for ten hours. I lay there awake, unable to process and unable to sleep, until the light shifted in the sky. Around 6:30am, a figure came through, talking excitedly to one of the nurses, still dressed in his theatre scrubs. Bloody Jonno. I have never clung onto anyone so desperately, as I did in that bed that morning. He had sat with our baby, spoken to her and let her clutch his finger, for the past three hours. That morning, I learned that I did have an abruption. Mercy had suffered a fetal-maternal haemorrhage as a result of my placenta spontaneously coming away from the uterus near the umbilical cord. She had lost so much blood, that her haemoglobin was the lowest some of the obstetricians had ever seen. They had given her two blood transfusions. She was on breathing support (CPAP) for respiratory distress syndrome, and we would only know other outcomes, such as brain damage, through observation and tests over the next few days. Later that day a doctor would explain to us that had we not come into hospital when we did, she certainly would have died. That Saturday after she was born was fueled by adrenaline and narcotics. My recollections are scrambled, and sedated. I don’t remember the order anything happened in, or who was present at any given time. That day has a strange hierarchy of memories – but sitting at the forefront is my first time in the NICU. I was determined to be physically able enough to be taken down as soon as possible, and by midday – despite no sleep – they gave me the green light. Jonathan pushed my wheelchair. The NICU (Neonatal Intensive Care Unit) isn’t an unpleasant place – how can it be, when full of these extraordinary little survivors? Each cot holds a missing piece of its mother. There is a feeling of great hope and anticipation, when you enter those doors, but alongside a buzzing anxiety, too. It is intense, and claustrophobic. It is everything you want, and everything you can’t have, just on the other side of a pane of glass. It is your own heart, in an isolation chamber, unable to come back to your body just yet. She was right at the pointy end of the NICU, in what seemed like a set from a science fiction film. Little legs jerked from behind the tiny windows. They lowered the humidi-crib so I could see her from where I was sitting. She had breathing equipment in her nose and head, a feeding tube in her mouth, a drip in her arm, blood monitoring tubes coming from her umbilical wound, and wires all over her chest and on her feet. Her eyes were closed and her breathing quick – a little body folded up in determination and fatigue. As if on autopilot, I opened the door of the humidicrib, and reached for her hand. Her eyes opened, and she looked straight at me. She heard me – she knew my voice. For the first time, it felt, I met my baby. It was another two days before we were allowed to hold her. Jonathan and I placed her gangly little body, plugged into machines, onto our chests, pressing her skin against our skin, and marveling as her breathing and heart-rate would regulate in response. The first time she found my breast was one of the most primal and extraordinary things I have ever experienced. Each day in hospital was a cycle of expressing colostrum (of which I thankfully had a good supply) every three hours, and taking it down to the NICU in little syringes, where it was fed to her through a tube. She had some instinct to breastfeed, but no strength, and would fall asleep upon my chest when we tried. The day I was discharged from the postnatal ward was the same day my milk came in. I cried, unrelentingly. I was not supposed to leave the hospital without my baby. Jonathan and I wandered through our house with anger, blind to the flowers and gifts placed so beautifully throughout. All we saw was the empty car seat, the empty bassinet, and the chest of drawers full of yet-to-be-worn clothes. They hurt to look at. It was confusing. Our baby had survived, but we still had grief, and we didn’t understand it. I pumped milk every three hours – day and night – in the wooden rocking chair my mother had bought me to breastfeed in. We went into hospital twice a day, to bring her milk in a little esky, help take care of her, and later, practice breastfeeding. Despite the joy I derived from doing something – anything – for her, the process was honestly excruciating. Instead of the comfort and privacy of our home, I had to learn to feed her in a busy corridor of the Special Care Nursery. Though the nurses were profoundly supportive, progress was slow. I remember crying hot tears, as she lay asleep against my breast, feeling guilty for wanting her to be stronger than she was, and pushing her to be so. It wasn’t fair. She was born seven weeks early. The sight of her being fed through a nasogastric tube reminded me of my own time in hospital, my own journey in learning how to eat. My own failures. It was on the twice-daily drive into the hospital that I started to realise I was actually in labour. I had made a ‘Birth Playlist’ maybe a fortnight before she was born, much to everyone else’s amusement. It was full of worship, and songs about mercy – like the Glen Hansard one that had inspired her name. Each song was selected because I knew it would help me focus on the task at hand, when I was most in pain. Our first drive in, we had plugged it into the speakers. Peace flooded the car, as we heard her name sung out. Every drive to and from the hospital, for three weeks, we played the birth playlist. The songs gave us permission to cry. They helped us gather hope and courage for the day ahead. Every day she was still attached to machines, still separated from my body, I reminded myself I was still in labour. This was labour. This was pain with a purpose, suffering with the goal of life. I did not know when it would end, but I knew it would. It required my participation. I could not quit. If Jesus was accompanying me in my pain, I could not tell you I felt it. But little by little I started to feel a peace that surpassed my understanding, and I am of the belief that that might be the same thing. He did not take my pain from me, but he gave me the ability to endure it, for the sake of love. Jonathan and I wrestled separately, often pushing each other away in our own frustration. He used up all of his leave while she was in the NICU, and spent his brief hours at home cleaning and fixing things, while I pumped milk and slept. We were exhausted by the thought of visitors, and bit our cheeks when loved ones came to the hospital – only two people could sit by her bedside, and one of us would have to leave her to let a visitor come in. It’s hard to explain, but we were just so desperately unsatisfied. We couldn’t share her, yet. She wasn’t even ours to share. We were visitors ourselves, and she belonged to the hospital, her substitute uterus, which let us pretend to parent her for a few hours each day. But people came, and it was imperative that they did. Community upheld us. They fed us –providing every one of our meals, and coming to our house when we weren’t there to do our washing and our dishes. Our parents flew down very early on, to hug us, and do the most menial of tasks. Friends affirmed her life with gifts, and held our grief with patience. All we wanted was to be alone, but what we needed was family, and we received it. Slowly, Mercy’s breathing improved, her jaundice resolved, and her strength ever so slowly increased. She was promoted to an open cot, and able to wear clothes for the first time. She could breastfeed a few times a day, without needing a top-up through her nasogastric tube. We were even allowed to bathe her. Each small win felt gigantic. Each wire removed hinted at the day she would wear none at all. It came softly. It crept up on us. We thought we had two more weeks left, when they told us we could be discharged the following morning. Mercy Maurine was born on the third of February, at 33 weeks and 5 days gestation. The day that she first held her father’s finger, and they pumped blood back into her body. I gave birth to her that day. But it was a different birth – from a different labour – the day we went home. The first day she breathed fresh air, and felt sunlight on her skin. When she filled the spaces that had ached for her. Many have walked the road of prematurity before us, and for much longer than us. This is my experience, and it is not universal – my husband will even tell a different story. I just want to acknowledge the families who have not been able to walk out of those NICU/Special Care doors with their babies yet, and most notably, those that have lost their children before they could. I am in awe of your journeys, and pray with and for you. It was the brave forum post by an Australian woman due the same month as me, whose son was stillborn at 33 weeks, which encouraged us to go to hospital that night. In her suffering, her desire to help educate others saved our child’s life. I have thanked her once, and I thank her again here. I would also like to thank the Mercy Hospital for Women (Heidelberg) and the tireless staff of the Neonatal Intensive Care Unit. They carried us through the doors. This is my husband’s contribution to this story – her birth video, to the very song she was named after. Enjoy. If you are struggling with birth trauma, grief, or feelings of sadness or anxiety as the mother or father of a newborn, there is help. Your mental health is so important for you and your family. PANDA is an incredible resource: https://www.panda.org.au/. Anna, I feel deeply privileged to be able to hear your story. 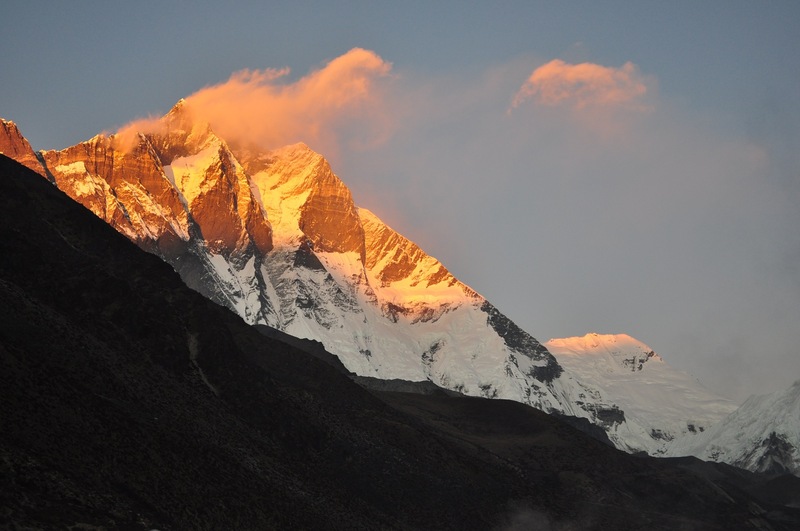 Thank you so much for sharing with us such a private, painful and profound experience. I’m deeply touched. This is just so moving Anna and Jonno’s film is stunning. You have both given Mercy an artefact that she will have to understand the challenges of her birth. Thank you for sharing. What an amazing God we have. He promises to be enough for each day and each trial! Your baby, Mercy, is a beautiful, amazing miracle! Thank you Anna & Jonathan for sharing your heart wrenching and beautiful story in such beautiful words and film. Words can not describe the impact your story has had. Thank you for the gift of your story and the gift it will be to those going through a similar situation. Blessings for Mercy. Anna this was incredible to read. In 1997 I was the result of a very similar medical emergency and my mother was forced to make a very similar trek in the middle of the night. I was born at 28 weeks in Brisbane. I read this and for the first time saw things through her eyes and the trauma and the joy she must have experienced. Thank you again. 😊btw this premmie baby turns 21 this year and has been blessed with no lingering health problems. Welcome to the world, little Mercy. And love and hope to you and Jonno. The Lord’s “Mercy” indeed knows no bounds 🙂 Thank you for sharing your story with us! What a story, beautifully told. Thanks for sharing it.